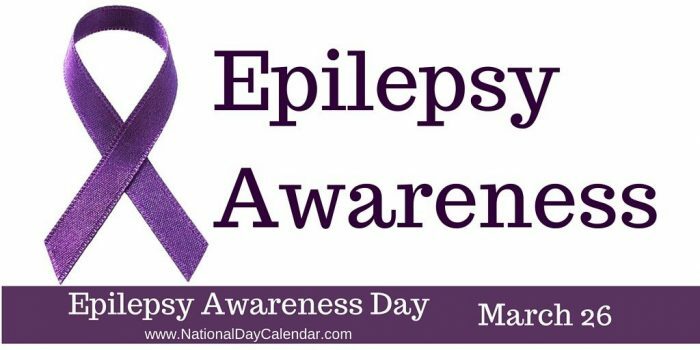 Epilepsy Awareness Day, also called Purple Day, is set for March 26. “Purple Day” is an international effort dedicated to increasing awareness about epilepsy worldwide. Every year on March 26, people all over the world observing the day are encouraged to wear purple and host events in support of epilepsy awareness. — Many people believe you can swallow your tongue during a seizure, but in fact, it’s physically impossible. — If someone you know or someone in your vicinity is having a seizure, never force something inside that person’s mouth. Doing that is known to chip teeth, cut gums or even break someone’s jaw, experts say. The correct first aid involves gently rolling the person on his or her side, supporting their head, protecting from injury and making sure their breathing is OK.
— Most seizures will end on their own. You don’t want to restrain someone, or else you could risk hurting them. — Epilepsy is not under any circumstances contagious, meaning you can’t “catch” it from someone else. — However, anyone can develop the condition. Seizures start for the first time in people older than 65 almost as often as they do in children. Seizures in the elderly are often the after-effect of other health problems, such as heart disease or stroke.